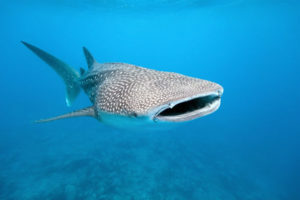 If you have your eye on whale shark diving Western Australia, look no further than WA Fishing. 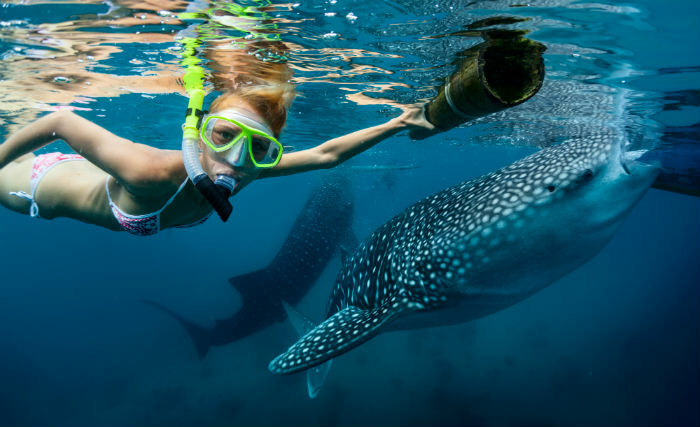 We organise tours that are perfect for people who, simply put, wish to swim alongside majestic whale sharks. People who want to share surroundings with the world's largest fish can truly get behind our offerings. Whale shark diving is a popular activity in Western Australia. People who are searching for adventure and thrills in the state often can't get enough of it. We also have 1000s of international visitors a year! WA Fishing can help you enjoy hours of fun-filled Ningaloo Reef diving and cruising. The Ningaloo Coast is a prominent attraction in the region. It's a renowned World Heritage Site that's about 1,200 kilometres away from Perth. It's ideal for people who want to experience the true magnificence of the East Indian Ocean and its plentiful creatures. Our crew members can assist you with the process of locating whale sharks. They're good at more than just locating these sharks, too. 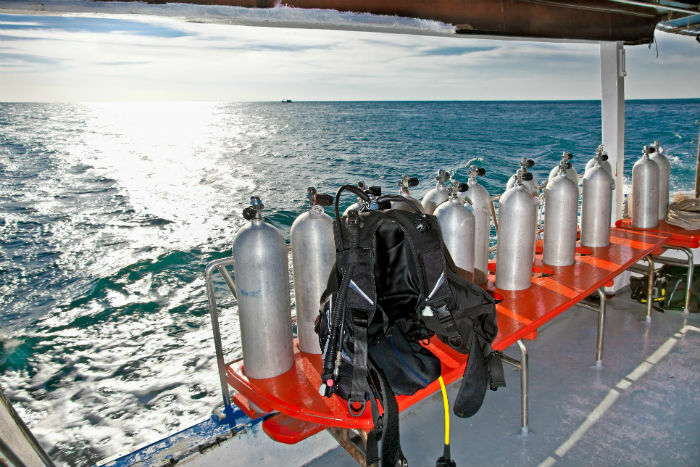 They're also great at pinpointing dugongs, dolphins, manta rays, corals and turtles galore. It doesn't matter if you're interested in large fish, small fish, migrating whales or anything else. Our team members can present you with all sorts of mesmerising sights. It can be incredible to swim right next to an enormous whale shark. Whale sharks are massive filter feeding creatures. They're also the biggest surviving fish on the planet. They're more than just large animals, too. Whale sharks are also stunning and elegant. Watching them can feel like a true gift. If you want to have a Ningaloo Marine Park experience that's on another level, WA Fishing is the way to go. Our team members can tell you everything you need to know about whale sharks and their daily lifestyles. They can also talk to you about indigenous peoples and the Ningaloo Reef in general. If you want to educate yourself in Western Australia, participating in one of our whale shark diving Western Australia trips is probably the wisest thing you can do. 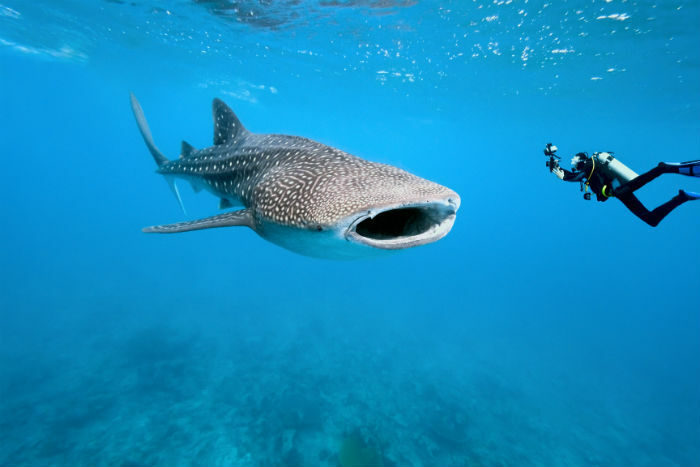 We offer whale shark tours that are genuinely world-class. ​We offer a full lunch on board and the best facilities. Our trips also give people access to pristine and clean toilets. If you want to go whale shark diving without any concerns, WA Fishing can also give you the convenience of full peace of mind. Your relaxation is our biggest priority, no two ways about it. WA Fishing is a highly respected company that's known for WA whale shark diving trips that cover all the bases and then some. If you want to participate in a Western Australia whale shark diving tour that will leave you feeling 100 percent satisfied and content, you can trust us completely. Our crew members are some of the most hard-working professionals in the business. They do whatever it takes to make sure our customers leave smiling. They do whatever they can to create unforgettable experiences for them. ​Call WA Fishing today for more information about our five-star whale shark diving opportunities in Western Australia.